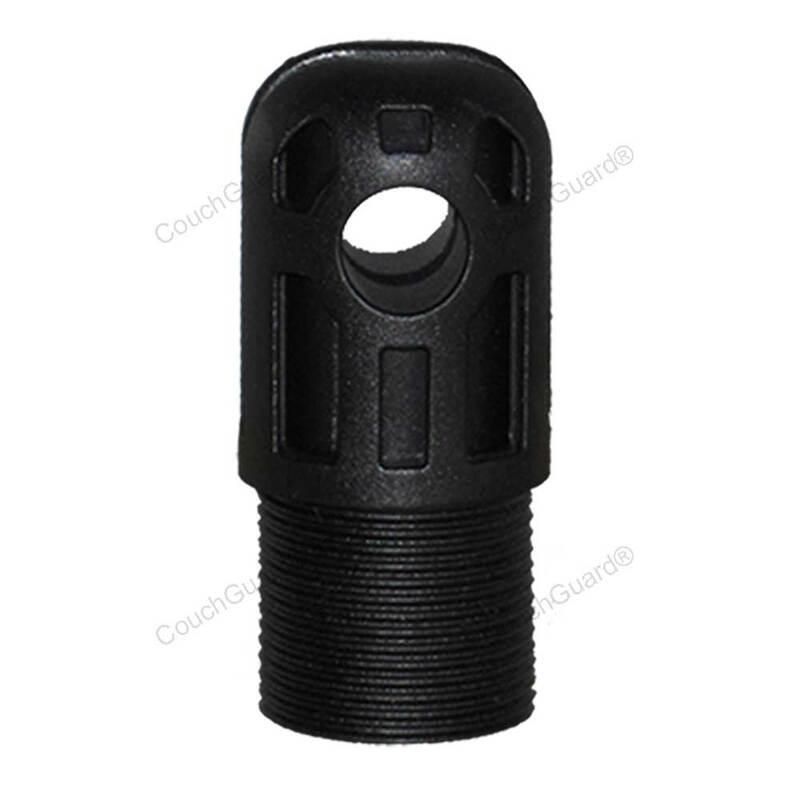 CouchGuard® have lift chair parts including the plastic forkhead that is found on the Okin motors. The plastic fork head is the connector on the end of the stroke tube. A clevis pin goes through this piece and the chair lift mechanism to hold that end of the motor on the chair. This forkhead will fit the Deltadrive, Gammadrive, Megadrive and Okidrive . Q. Do these forkheads come with 20mm thread? A. No. We only stock the Okin style which is 25mm. 4 Locate the forkhead and remove the clevis pin retainers then the clevis pins. You may choose to only remove the forkhead end pin and replace the forkhead while the actuator is still in the chair. DO NOT use multi-grips or similar type tools on the very end where the clevis pin hole is. If you really need to use this type of tool then make a firm grip down as close to thew thread as possible. 5 Unwind the old forkhead from the stroke tube. This is a left hand thread then screw in the new one. 6 Reposition the actuator and fit the clevis pins and retainers. 7 Check all leads are out of the way of moving parts.